Fruits and vegetables are nature's packed sources of indispensable nutrients. Apart from minerals and nutrients, they are rich sources of phytochemicals, dietary fibre and antioxidants. They can be consumed at any time as such. They are godsend food to knock out any type of severe diseases from our doorsteps. Avacado, called butter fruit is a calorie dense food that has been linked to cardiovascular benefits. It’s a wealthy source of monounsaturated fatty acid, oleic acid, the rare phytosterol, stigmasterol and the antioxidants including carotenoids, vitamin E and vitamin C. Researchers have also speculated about the potential benefits of avocado for reducing human arthritis risk. Hence, one should include avocado regularly in their meal plan. Broccoli contains a specific type of sulforaphane which boosts cell enzymes against molecular damage from cancer-causing chemicals. Small quantities of fresh broccoli sprouts contain as much cancer protection as larger amounts of the mature vegetable according to a research at Johns Hopkins University. Broccoli sprouts can be grown at home by planting a small amount of spout. Broccoli is also an excellent source of vitamin K and also of vitamin A. Nowadays many people, especially adolescents and women suffer from vitamin D deficiencies. Ensuring a sufficient intake of vitamins K and A with vitamin D supplementation may help in achieving optimal vitamin D supplementation. Brussel sprouts: The Dietary fibre content of Brussels sprouts aids in protecting our digestive system. Scientists have confirmed that the sulforaphane made from Brussels sprouts' defends the health of our stomach lining by preventing overgrowth of Helicobacter pylori a causative organism for stomach ulcers, gastritis and gastric cancer. Brussels sprouts are an important dietary source of many antioxidants including vitamin A, vitamin C, the antioxidant mineral manganese isorhamnetin, quercitin and kaempferol. 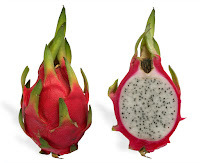 Dragon fruits are high in polyunsaturated fats (omega-3 and omega-6 fatty acids) that ameliorates triglycerides and slashes the risk of cardiovascular disorders. 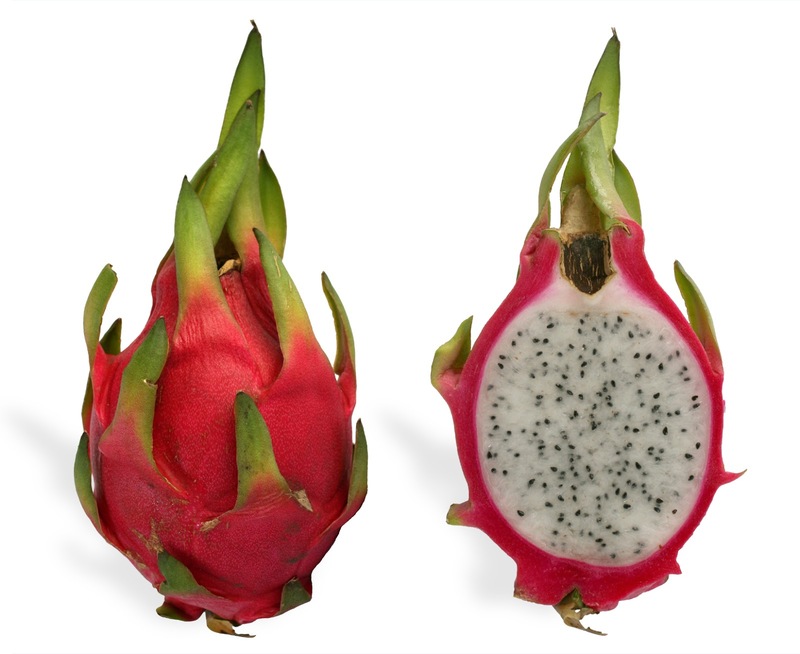 Lycopene, in dragon fruit, has been shown to be linked with a lower prostate cancer risk, bolsters immunity and faster healing of wounds. Eggplants: Eggplant ranks among the top ten vegetables in their antioxidant activity. Its skin contain a anthocyanin phytonutrient, nasunin a potent antioxidant and free radical scavenger that protects our body from the invasion of free radicals. Eggplant is also an iron chelator and proves beneficial for adolescent, mensurating, pregnant and lactating women. Pulp of eggplants are effective for curing a number of diseases, including cancer, high blood pressure, and hepatosis due to content of anthocyanins and strychnine. Figs are a good source of potassium, a mineral that helps to control blood pressure. Owing to its high fibre-content they have a positive effect on weight control. Figs are often celebrated for nourishing and toning the intestines and work as a natural laxative because of their high fibre content. 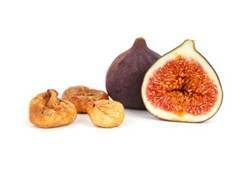 Figs also contain prebiotics, which aids in supporting the growth of gut friendly bacteria. What should your plate contain? So after browsing a divulging article about the health benefits of fruits and vegetables, how many servings of fruits and vegetables you consumed today??? 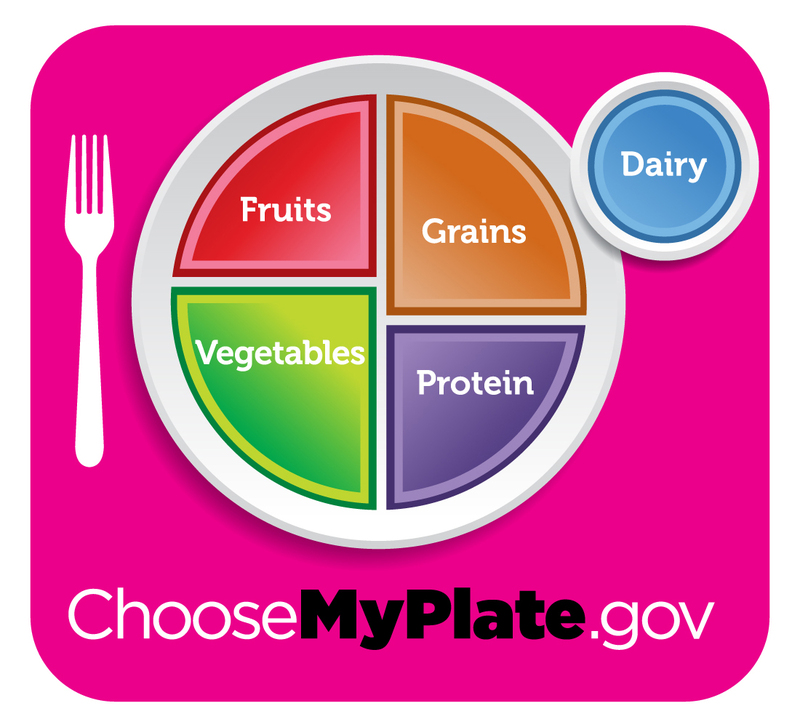 The U.S. Department of Agriculture (USDA)‘s Choose My Plate suggests to fill half of your plate with colourful fruits and vegetables at every meal. So include in your every meal as much fruits and veggies as possible. They are the road to excellent health. What is BPA? Is BPA harmful? Should I be worried about BPA? 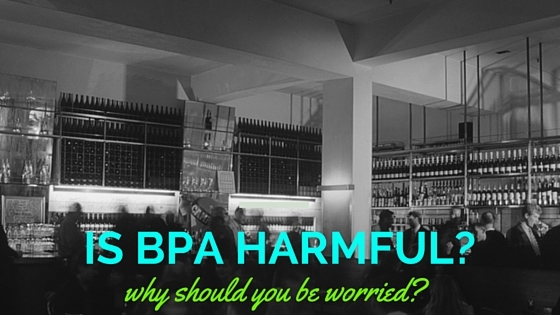 If you have these questions about BPA, then this article will be an eye-opener about BPA. Bisphenol A, (BPA) is the most common chemical we are exposed to each day. These Polycarbonate plastics have many applications including use in some food and drinks packaging such as water and baby bottles, and ATM receipts. Epoxy resins are used to coat metal products such as food cans, bottle tops, eye glasses and water supply pipes. BPA is an unstable compound especially at high temperatures, can leach into food from lining of cans, food storage containers, water bottles, and baby bottles. They also leach out of these products when we store hot foods in them. BPA is of particular concern to women of childbearing age and young children. BPA is a man-made estrogen that can upset the hormone system, particularly when exposures occur while babies are in the womb or in early life. Even minute quantities trigger risks of breast cancer, prostate cancer, infertility, early puberty, miscarriages, poor immunity and metabolic disorders like type-2 diabetes. How to reduce the usage of BPA? Use only good quality plastic wares for microwave ovens. Replace plastics with glass, porcelain, or stainless steel containers for hot food or liquids. Take extra care while buying infant feeding bottles. Opt for bottles that are BPA free and select toys that are labelled BPA free. For three days, participants were provided fresh food, not canned or packaged in plastic. They were refrained from canned foods and drinks. The effect was noteworthy. While the families were eating the foods supplied by BCF, their BPA levels dropped to an average of 60 percent. GIST: You can reduce your BPA exposure by cooking fresh foods at home, avoiding canned foods, choosing glass and stainless steel food and beverage containers, and not microwaving in plastic. In this hi-tech world number of public health, prevention and disease management approaches have emerged that focuses on changing health-related behaviours. Skipping healthy habits is found to be associated with health-compromising behaviors in adults and adolescents. 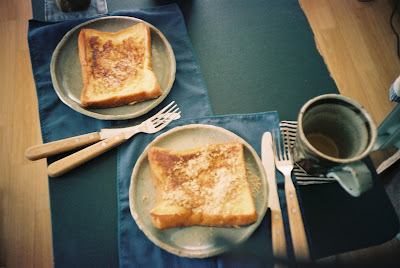 Breakfast which exactly means breaking-the-fast of the night, refers to the first meal taken in the morning. It is paramount in sustaining the physical health and mental health of a person. Breakfast is the principal constituent of one’s daily nutritional requirement, contributing significantly to the total daily energy intake. Research studies authenticates regular breakfast consumers to show significantly better physical health than those who skipped breakfast. Breakfast consumption is being neglected in all age groups over the past few years. Breakfast skippers have comparatively poor intake of vitamins and minerals and nutrients that are lost as a result of skipping breakfast that cannot be compensated by any meal of the day. Faulty sleeping habit also has its consequence on our health in a same manner as skipping breakfast does. Adequate amount of sleep is important for one’s mental and physical health, for cognitive restitution, processing and learning. People who sleep less are more prone to emotional instability, decreased concentration, memory loss, day time sleepiness and the most common issue faced is obesity. It is heart breaking that these habits are declining among most youngsters today. Early to bed and rising up early, regular breakfast and light to moderate exercise all constitute a healthy life style. Consequences of unfavourable health-related behaviour typically accumulate over time and may first be observed in later life. As we live longer, it is important that health promotion and disease prevention initiatives continue to have emphasis on health-related behaviour early in life.